Well at least the drone was expected company! The story starts very soon folks. Gotta introduce the setting before jumping right into the thick of it, after all. I can't help but hear the music in my head, from Final Fantasy V, where the airship descends into the Catapult area... the drone going down the skylight elevator just has the same feel to it. 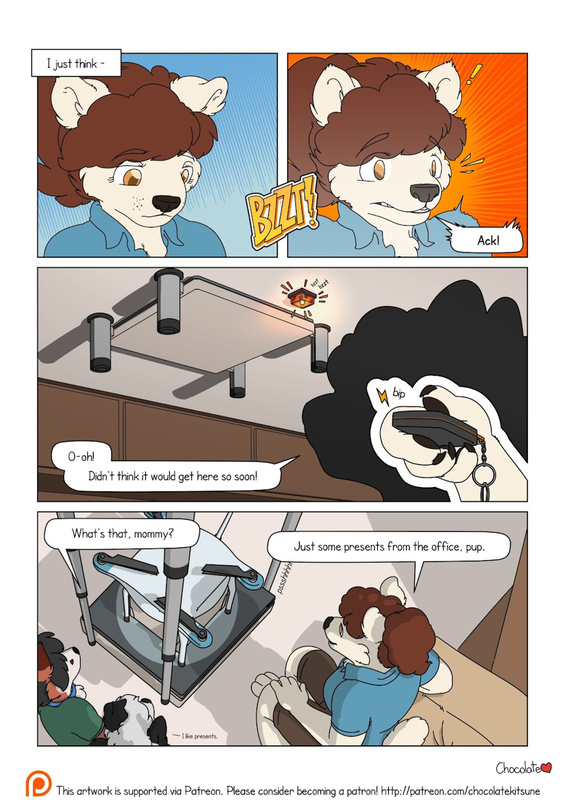 That's definitely got a cool feel to it, hah x3 Glad it made you think of something so cool! I'll be continuing the comic very soon!